Students, go ahead. Hit that snooze button. The school day for students at every high school and four middle schools will start 15 minutes later next school year to give the Transportation Department more flexibility in planning bus routes. 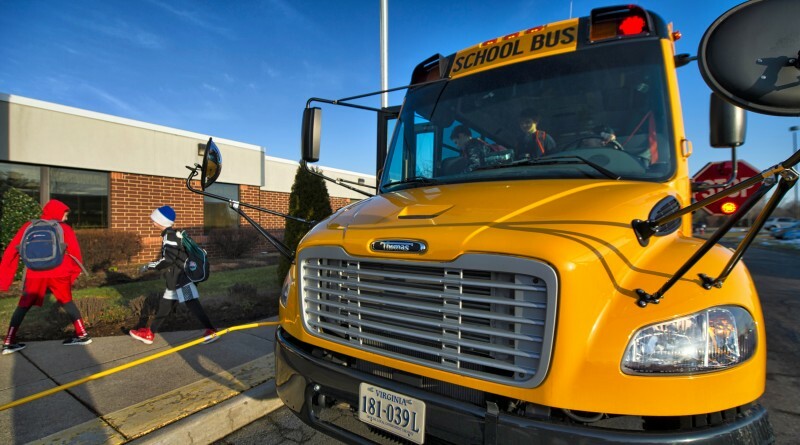 The Loudoun County School Board was asked Tuesday evening to endorse the Transportation Department’s plans to consolidate bus routes, reduce lengthy rides, and maximize bus space—all with the goal of improving the level of service to Loudoun students, according to Assistant Superintendent Kevin Lewis. He said decisions on the specifics of how routes will be changed will be made this summer. But School Board members said that they did not want to give a blanket endorsement of a general plan when they do not yet know what it will entail. Plus, they noted, that the board should not get into a practice of approving such detailed decisions such as specific bus stops, but should leave that to school system staff. Instead, the board voted only on a motion to shift back the start time at 15 high schools and four middle schools by 15 minutes. That motion passed unanimously, with Debbie Rose (Algonkian) absent. The start time will be pushed back at every high school and Blue Ridge, Harmony, J. L. Simpson, and Smart’s Mill middle schools. That move will give Lewis and his staff more room to adjust routes. Right now, in part because of a shortage in bus drivers, the routes include 105 “second loads,” which means drivers pick up students, drop them off at school and make a second run to pick up and deliver a second bus-load of students to school. The school system has vacancies for 55 drivers, under the current model with more than 100 “second loads.” Without those, Lewis said the department is short 160 drivers. But he sounded optimistic that interest in the bus driver positions is gradually increasing. Twenty-seven drivers are in training, 19 are scheduled for training, 43 have been trained and are waiting for the results of background checks. An open house for those interested in working as bus drivers or attendants is planned for June. The Transportation Department will develop a new route model by July 1, spend the next month driving and reviewing the routes, and notify parents of the changes by Aug. 18. “We want to do this with a scalpel, but not a hatchet,” Lewis added.